o Faculty with experience above ten years in teaching science and mathematics. o Personal attention to each student. o Regular tests and doubt solving sessions. o Easy to understand study material. o NCERT Syllabus based teaching. "Refereed to my cousin brother, Well qualified teacher, Better understanding of subject and concepts. Even minute details are discussed. " "Great teaching and concepts development. Nice behaviour and friendly approach. I never felt hesitant in asking doubts. Thank you so much infiny for being a part of my studies at X std. " Magnitude of an electric field doesn't depend on the Nature of charges. But the direction of electric field does depend upon the nature of charges. Why do we say that evaporation is a surface phenomenon? Evaporation is defined as phenomenon in which surface particles of liquid absorb energy from bulk particles and other surrounding particles and gets converted to gaseous state at a temperature below the boiling point of the liquid. As only surface particles are involved in evaporation it is a surface phenomenon. A lamp consumers 1000 J of electrical energy in 20 seconds. What it its power? 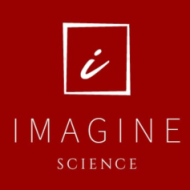 Imagine Science conducts classes in Class 11 Tuition and Class 12 Tuition. It is located in Lakad Ganj, Nagpur. It takes Regular Classes- at the Institute. It has got 2 reviews till now with 100% positive feedback.